During the large lecture today in class, Dr. Putman talked about the fall of Saigon in 1975. 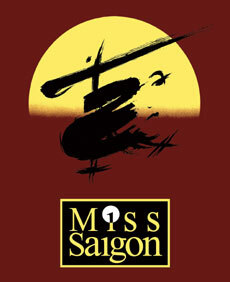 During my senior year of high school, Eastlake High School put on the play “Miss Saigon”. It was about an Asian woman who gets abandoned by her lover who was an American Man. This play is also a musical that went on Broadway in 1991. Today in large lecture, Professor Putman talked about the Chicano Movement. 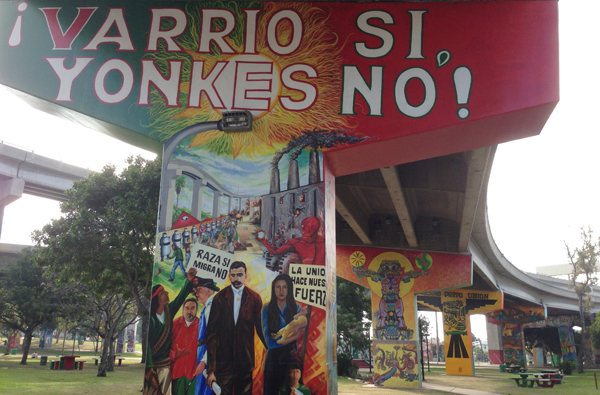 Here in San Diego we have our own Chicano Park in Barrio Logan by the Coronado Bridge. For this specific mural, the people living there wanted their neighborhood to be rezoned. The translation of “Varrio Si, Yonkes No!” is “Neighborhoods yes, junkyards no!” The people wanted the junkyards to be moved so they could keep their neighborhoods clean from car parts falling into their backyards. Today in class we talked about hippies started to become popular in America. 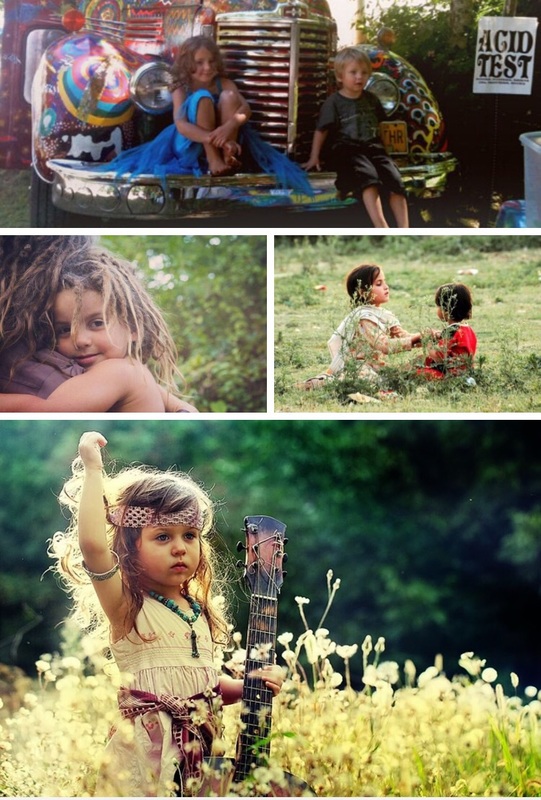 I was o tumblr and found a photo set of kid hippies and bought they were adorable. In one of the pictures you can even see a sign that says acid test like the one Dr. Putnam talked about to day with Kesey. Today in class Dr. Putnam was talking about how people were planning and preparing for an atomic bomb attack. 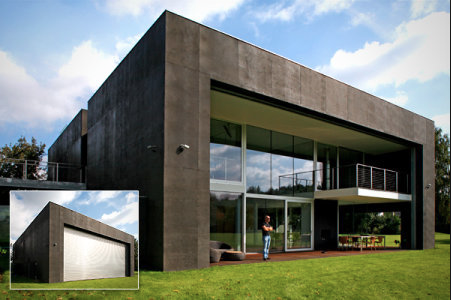 While I was on tumblr.com there was a post I saw about the coolest or craziest homes around the world. One of the homes was created as a bunker in case an atomic bomb attack were to happen. In my essay I will be talking about Bob Marley and how he wanted to bring peace into our world through his music. In America, Africans wanted to change the way culture was seen in the United States. Even though in the 1960s federal laws were passed to help end racism, it still occurred due to people’s beliefs. African American Activism was a movement that wanted to change the way America looked at their nation with laws that didn’t discriminate against skin color. (Schultz, 482) Bob Marley wanted to unite everyone with his music. Marley wanted to reach salvation through love and unite all of humankind as one despite race and ethnicity. I was on tumblr and I came across this post with the hashtag of black history month. 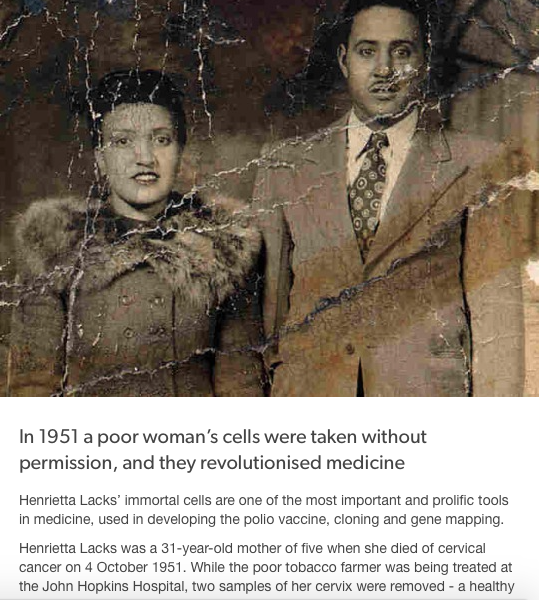 It got me thinking about how we are “haunted by history” since Henrietta Lack’s immortal cells have been used many times after her death to help with advances in medicine.